How do you work out percentages in a property settlement when people separate? 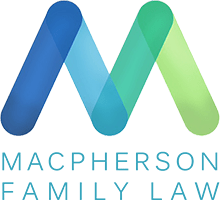 The process of working out a just and equitable property settlement under the Family Law Act is complex, but we set out below some general guidance as to the principles that the court applies for division of property when people separate. When you and your partner split up, usually there are important property and financial issues that need to be sorted out. You need to work out what is to happen with your house, your cars, your business, your furniture and contents, and your superannuation. What happens if you can agree on how to split things? Where parties can reach agreement, it is still essential they formally document it under the Family Law Act. If the agreement is left on an informal basis, stamp duty exemptions and capital gains tax rollover relief on the transfer of property are not available. As well, each party remains exposed to a future claim by the other. In the absence of a formalised agreement, any party can apply to the Court for property adjustment orders any time from separation until 12 months after a divorce has been finalised (or two years after separation for de facto couples), regardless of any informal agreement. The Court also has the discretion in certain circumstances of hardship to allow parties to commence proceedings after this time. The best way to formalise a property agreement is by way of a Binding Financial Agreement ( because its usually quicker, and cheaper). What happens if you can’t agree on how to split things? Where parties are unable to agree on a property settlement, upon application made by either party, the Court will step in and impose on the parties property adjustment orders that it considers appropriate. In doing so, the Court must not make any order unless it is satisfied that, in all the circumstances, it is just and equitable to make such an order. “Justice and Equity” is based on the Family Law Act and cases that have been decided over the last 40+ years. Threshold Question – Should any changes be made? The High Court has determined that before embarking on any alteration of the interests of parties in property, that once the current assets, liabilities and financial resources of the parties have been clarified, the Court must ask itself whether it is just and equitable to proceed with alteration of those entitlements. In most cases the Court would easily be satisfied that it is just and equitable to proceed with alteration of the interests of the parties. There are however rare cases where the Court will form the view that it is not appropriate to do anything. ‘Property’ in Family Law has a very broad definition. It includes every possible interest that a person owns, holds or controls. In Family Law it is irrelevant in whose name property is held, or whether it is held jointly or individually. Normally, all property comes into calculations. It is usually irrelevant when and how the property was acquired: property owned before the relationship is taken into account, as is any property inherited or received as a gift from a relative during the relationship, or acquired following separation. Companies and Trusts are also usually included. Superannuation is also treated as property. During this step, other than in special cases, all assets, liabilities and financial resources are ‘pooled’ and the current net value for the entire pool is ascertained. Where there is dispute about the value of particular items in the pool, independent valuations may be required. Each party’s contributions, financial and non-financial, direct and indirect, to the acquisition, conservation and/or improvement of the property are then considered. Each party’s contributions to the welfare of the family, including as a homemaker and parent, are also considered. A couples’ combined efforts earning an income and caring for home and family are often, but not always, considered to be equal – regardless of whether one party did more of one thing than the other. The factors considered here are of a retrospective nature, in other words, the court looks backwards at the history of the relationship. On the basis of the parties’ individual contributions to the property pool and to family welfare, the Court decides what percentage of the total pool should be allocated to each party. There is no presumption in Australian law that that a ‘50/50’ division is appropriate. It is not the law. In this step, the Court looks to the future, and considers various factors of a future nature, which may justify an adjustment to the percentage division that was arrived at in Step Two. The factors the Court looks at include the parties’ comparative ages and health, their respective incomes and earning capacities, whether a party has the care of a child or children, the duration of the marriage and its’ effect on a party’s earning capacity, and so on. (These are the same factors that a Court must consider when asked to make an order for spousal maintenance, and may be referred to as ‘maintenance factors’ or ‘future needs factors’). The usual effect of this step is that a party’s ‘contributions based’ percentage entitlement (arrived at in Step Two) may be adjusted up or down, depending on the current and future needs of each party (under Step 3). After working out the pool of assets (Step 1), the contributions made (Step 2) and the future circumstances of the parties and the family (Step 3) the court decides how the assets and liabilities should be divided between the parties. Also, the Court must consider whether the orders it proposes to make after completion of the previous steps are just and equitable. At this step, the Court may also consider the form of the order. For example, it may decide that one party should receive more of the current assets (such as the family home) and the other more of the superannuation assets, or a business, if that is most appropriate in the particular circumstances. This step involves careful consideration of matters like tax and stamp duty. Often there is a need to take financial planning advice, as sometimes how the assets are split is just as important as the percentage received. Tax and Stamp Duty issues are very relevant, and their application to property division is complex and mistakes are potentially costly. It’s important to get specialist advice to make sure any outcome arrived at is Binding, and doesn’t have a tax or stamp duty “sting” at the end. The important thing to remember is that that no two cases are the same, that the law is complex, and the Courts have a very wide discretion to make decisions. It’s only when you go into the detail of the matter, and understand that some factors favour one side, and some factors favour the other, that one is able to predict the outcome through the courts. Don’t rely on friends, family or Google. It is essential you obtain specialist legal advice from us about your particular circumstances. Get advice, get it now, get it right, before you go Wrong. Want further advice on property settlement? Don’t hesitate to contact us, either by calling or completing an enquiry form.